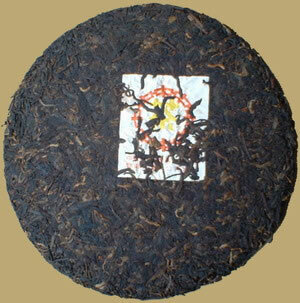 This ripe Pu-erh cake consists of tea leaves from Menghai. The blend is 7262, middle-high grade tea leaves cover surface with tips, moderately fermented Pu-erh with a pure aroma and balanced mellow flavor, very smooth and full in the mouth. Excellent for drinking now or put away for further aging.